The school boasts a 98% job placement rate for its graduates, but it has one of the lowest in-state placements of any public university in the state. But Sawyer is noticing a change. While the majority of their grads continue to accept jobs out of state, Sawyer says there are now more science and tech opportunities for students in South Dakota. He points to relatively new companies like POET and RAVEN Industries, and a hand full of tech start-ups in Rapid City. He says local companies are becoming more proactive by contacting students through job fairs and other recruitment strategies. Businesses are using internships as a talent pipeline for South Dakota’s workforce. This is especially true for new companies looking to expand. Shon Anderson is a School of Mines alum who left the state for hisfirst job, but always wanted to return to the Black Hills. He got the chance a few years ago when he accepted a job with B9 Creations on campus. It’s a 3D printing and manufacturing company launched by Mines alumni six years ago. Anderson is now CEO, and he hopes to expand South Dakota’s economy beyond the traditional focus on agriculture and tourism. Anderson says enhancing the state’s tech economy can be a stabilizer. But from the start he saw the opportunity for collaboration with area students. He contacted Black Hills State University, and soon hired the company’s first intern. Now the company employs interns from both Black HIlls State and School of Mines, and several have become full-time employees. Anderson says internships offer businesses a mutually beneficial relationship. A South Dakota-based telecommunications company is using a similar strategy. 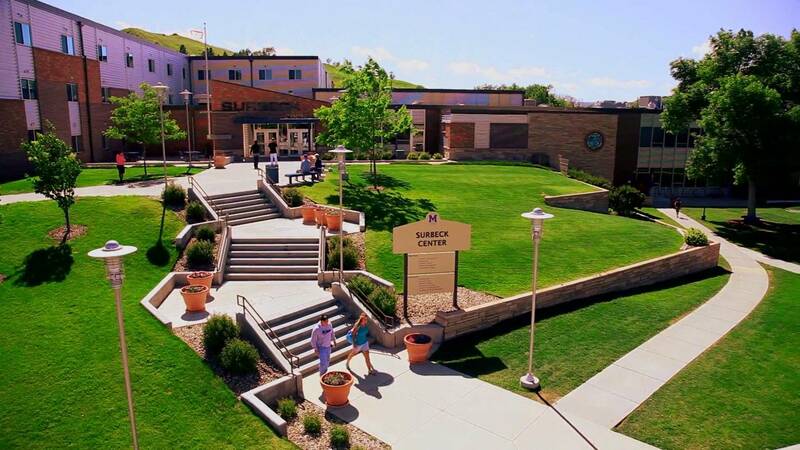 Innovative Systems has its main office in Mitchell, but a satellite office on the School of Mines campus exists to take advantage of the talent pool. David Springhetti is manager of the Rapid City office. He says the company typically makes job offers to more than half their interns, and they’ll hire one or two a year. That’s not by accident. Many Mines graduates still choose companies with more name recognition like Google and Microsoft. And though several start-ups are finding success in Rapid City, the demand for workers may be greater than the current supply. It’s a different picture for Rapid City’s technical school. With a job placement rate similar to School of Mines, more than 90% of Western Dakota Tech graduates accept jobs in South Dakota. Chandra Calvert is Associate Dean of Advancement at Western Dakota Tech. She’s also noticed that local employers are more actively recruiting students. But that’s not the whole picture. That three-year work requirement is part of what encouraged Tanner Blank to transfer from the School of Mines to Western Dakota Tech.. Blank was born and raised in Rapid City. He’s graduating this semester from the electrical trades program with a job in-hand, and is happy to be staying near family and friends. But Blank understands that not everyone wants to stay in their hometown. And it all comes down to opportunity. CEO of B9 Creations Shon Anderson says tech and trade schools play an important role in conversations about workforce development. But he’s wary of tunnel vision, even when it comes to developing South Dakota’s technology economy. Anderson says many people count themselves out when they hear about openings at a tech-based company because they don’t have a science degree. But he says any successful business needs people from all backgrounds. In the meantime, his company and others will continue to work with South Dakota’s students as both employers and graduates take their next steps towards a future they hope is bright.